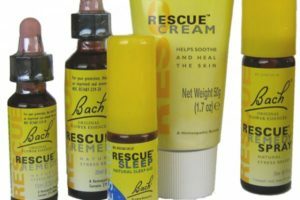 I’ve successfully used Bach Rescue Remedy on myself and my family for at least 15 years. It does indeed help now that I am disabled as well. When anxiety or insomnia kicks up or I’m cranky or have a medical procedure, I use the spray to help calm me naturally (homeopathically). I also use it while driving since it’s perfectly safe and it helps me get through Bay Area traffic with less worry and frustration. There’s no med interaction to worry about, so it’s just another safe tool in your arsenal for dealing with chronic pain, disability, and disease. While mentally I do find the individual bottles fairly expensive because they’re so small, they last so long it is not an actual financial issue. Two sprays (or follow directions on the droppers and pastilles) is supposed to be all you need. In times of greater stress, I triple that dose just to be sure. Please click this Amazon.com affiliate link to purchase Bach’s Rescue Remedy! There are several delivery types like sprays, drops, pastilles, and creams, as well as different flavors: Search Bach Rescue Remedy on Amazon . You may also choose to get educated about individual Bach flower essences to use one or a combination to address specific issues. Visit that link to go to our post about flower essences.